This painting is of the trees and pond at Weatherlea Farm in Lovettsville, VA. 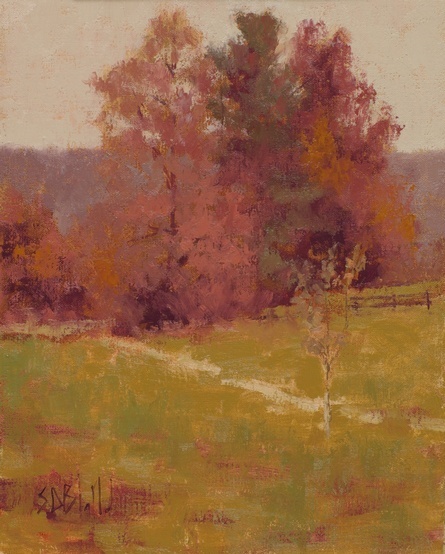 I painted this with reddish cast throughout to emphasize the fall colors. 12x9, Oil on linen panel. Black/gold frame.